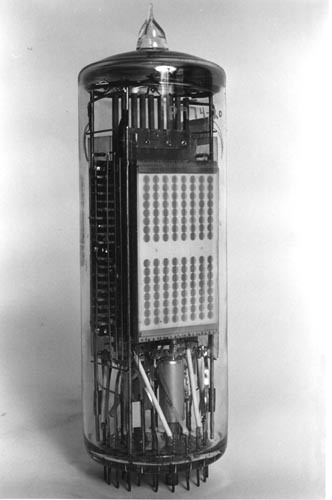 B&W image of RCA 501 Solectron memory tube. This was used in first version of Johnaic computer. Description: " This was used in the JOHNIAC as a primary memory device. It was developed for high speed registry and read-out of digital information"